What are you doing Sept. 5th at 5:15 p.m.? ONLY MEAL OF THE DAY. Help us stretch a line of 3900 empty plates across Downtown Salem to bring our community’s attention to the fact that CHILDHOOD HUNGER LASTS A LIFETIME. Hungry kids miss more school and have more health and behavioral problems than other children. When they fall behind, they are too often left behind. THIS IS A QUIET CATASTROPHE THAT WE CAN PREVENT. Please call Kat Daniel, Women Ending Hunger at Marion-Polk Food Share (503) 581-3855 ext. 322 or kdaniel@marionpolkfoodshare.org to sign up for a place in line. You can also help us by spreading the word to family, friends, and co-workers! Nothing is more deserving of our attention than the fact that we have over 39,000 children in Marion and Polk counties who may be relying on their free or reduced-price lunches at school as their only full, healthy meal of the day. When we relate that fact as we talk with family, friends, and neighbors, we find that most of them can’t believe that hunger is as rampant as that, right here where we live. We are not talking about Africa here. We’re talking about Salem, Keizer, Stayton, Jefferson, Scotts Mills, Falls City, Detroit, Idana, Gervais, St. Paul, Woodburn, and every other community in our two-county footprint. I hope I don’t have to tell you what childhood hunger means in terms of a child’s ability to succeed in his or her life, and what it means to our whole community when they don’t succeed. Doesn’t every child deserve the best chance at life that we can give them? Don’t we deserve the bright future that they can give us? WEH is determined to do at least ONE thing to bring this to everyone’s attention. As we have for the past three years on the First Wednesday in September (this year September 5) hundreds of us will be stretching a line of empty plates from the State Capitol through six blocks of downtown Salem to show Salem commuters and downtown businesses at least what 39,000 children look like. Okay, we won’t exactly have 39,000 people standing in a line, but can you imagine what 3,900 people holding empty plates looks like? We know that this is an image with impact! Can you help? Please put on your brightest red, come downtown on September 5 at 5:15 p.m. and stand with us for half an hour on behalf of hungry kids! Families and children are welcome; our route is all on the sidewalk and is kid-safe. 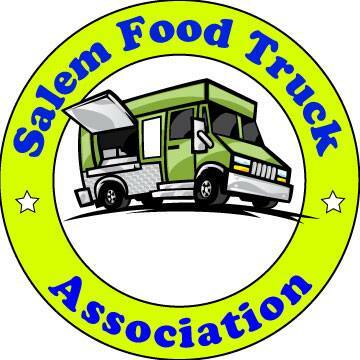 At 5:45 everyone can go home to supper or go on to enjoy lots of special back-to-school festivities as part of Go Downtown Salem’s FIRST WEDNESDAY monthly event. There will be lots of sidewalk sales in addition to a community wide PEP RALLY put on by our friends at the Salem-Keizer Education Foundation (of Awesome 3000 fame) featuring bands, cheerleaders, and high school sports teams. SKEF will be collecting school supplies and Marion-Polk Food Share will be collecting food and it should be a great afternoon! We’d love to see you there! 39,000 hungry children are 39,000 too many! Thank you in advance for standing up for our children!